Could you help with a research project aimed at improving IVF success? Another day, another survey – but this one is to help researchers who are keen to find out more about why success rates following IVF treatment aren’t higher. Embryo quality plays a role here, and when treatment doesn’t work it can be down to abnormalities in the chromosomes which carry genetic information and this can result in miscarriage. 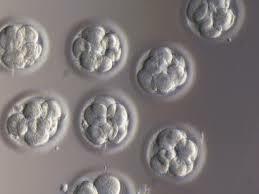 Some fertility specialists believe that testing the embryos by removing few cells and analysing them (a process known as preimplantation genetic screening or PGS) to make sure they don’t carry any of these abnormalities could lead to higher IVF success rates – but more research is needed to show whether this will work. This entry was posted in IVF and tagged embryo quality, improving IVF success rates, IVF, IVF research, IVF success rates, PGS, PGS research, preimplantation genetic screening by fertilitymatters. Bookmark the permalink.